Suzann Siler DeLay received her early dance training in California with Deane and Barbara Crockett, founders of The Sacramento Ballet. She went on to dance a variety of contemporary and classical roles while a member of The Sacramento Ballet. She also had a brief career with Pacific Northwest Ballet until injury forced her to retire. She has been fortunate to study with some of the master teachers of our time such as Violette Verdy, Robert Barnett, Robert Joffrey, Janet Reed, and David Howard just to name a few. Suzann appeared in several musicals including Princess and the Pea and Lil’ Abner. She has also appeared in several PBS specials in the California area. Suzann has taught, choreographed and performed throughout the United States, including the official School for Sacramento Ballet, and occasionally teaches for the Contemporary Dance Department at Indiana University. She brings with her a vast knowledge of classical ballet and has taught Ballet, Pointe, Variations and Pas de Deux to students six through adult. She also specializes in a creative dance program for children ages three through six. She has been recognized with numerous awards for choreography works in ballet and contemporary. In 1999, Suzann founded the Central Indiana Dance Ensemble, which is successfully celebrating their 19th season. Alumni of Central Indiana Academy of Dance have gone on to professional careers with Ballet West, Dayton Ballet, Pacific Northwest Ballet, Nashville Ballet II, Nevada Ballet, Boston Ballet and North Carolina Dance Theatre. In addition many alumni have been accepted with scholarships to top level summer intensives, residencies and universities. In 2009, she opened Central Indiana Academy of Dance to provide pre-professional training for the resident pre-professional company, Central Indiana Dance Ensemble, an honor company with Regional Dance America. In 2012 & 2014 Central Indiana Academy of Dance was awarded the Youth American Grand Prix “Outstanding School” Award. She has been honored by being on the cover of the December 2008 issue of Indianapolis Woman and was invited and attended the National Teachers Weekend at the School of American Ballet in 2010. She is the former President for the Mid-States Board of Directors of Regional Dance America. Trained in Cecchetti and Russian techniques, she was a student of the Crockett’s for many years and is dedicated to carrying on their teachings. Suzann is an ABT® Certified Teacher, who has successfully completed the ABT® Teacher Training Intensive in Pre-Primary through Level 5 of the ABT® National Training Curriculum. Michael Casey Clark is originally from Fishers, Indiana, Casey started dancing at the age of 19. He attended Ball State University graduating with a BS in Dance Performance with a minor in Theatre. While at Ball State, he was encouraged to attend dance classes and audition for the Ball State Performing Dance Company where he was accepted as an Apprentice. A year later he became a company member. While studying at Ball State, he also performed with the Anderson Young Ballet Theatre, directed by Lou Ann Young. He received many scholarships and was the first to receive the Lynette Jordan Schisla Scholarship. At Ball State, Casey developed his choreography skills. He was one of several students to have their works adjudicated and performed at the American College Dance Festival, representing Ball State. Casey also choreographed many musicals at Ball State. “Dancing at Laughnasa” was adjudicated and presented at the American College Theatre Festival. He was also voted Best Student Choreographer. Casey has studied and worked with many outstanding choreographers and master teachers including Gail Gilbert (David Parsons Dance Company), Franciose Martinett (Joffrey Ballet), Sylvia Waters (Alvin Ailey), Trinette Singleton (Joffrey Ballet), Luigi and Twyla Tharp, just to name a few. Summer of 2003, Casey was accepted to the Glenda Brown Choreography Project in Austin, Texas, where he worked with Margo Sappington. Casey attended this project as a choreographer where he was inspired to create eight dances in thirteen days. Casey is very excited to be expanding his teaching and choreography responsibilities at Central Indiana Academy of Dance. Casey would like to thank Suzann DeLay for her insight and astute knowledge she has shared with him. Casey is an ABT® Certified Teacher, who has successfully completed the ABT® Teacher Training Intensive in Pre-Primary through Level 3 of the ABT® National Training Curriculum. Ashley began her formal ballet training at the age of 10 with Suzann DeLay, and was a founding member of the Central Indiana Dance Ensemble. While with CIDE, she performed soloist roles such as the Sugar Plum Fairy, Snow Queen, and Rose in The Nutcracker, Alice in Alice in Wonderland, Cinderella in Cinderella, and Wendy in Peter Pan. While dancing Ashley attended summer programs with The Washington Ballet, Milwaukee Ballet, Boston Ballet, and American Ballet Theatre. Ashley attended the University of Utah as a ballet major, and in her sophomore year transferred to Indiana University to study in the Contemporary Dance Program, where she received the Jane Fox Dance Scholarship from the Kinesiology Department. While at IU she danced with The Ben Munisteri Dance Company of New York City, Connie Denapoli from Paul Taylor Dance Company and The Liz Lerman Dance Exchange of Washington D. C.
In addition to performing, she was a featured choreographer in IU’s “Hammer and Nail 2008”. She has choreographed for the Central Indiana Dance Ensemble and was recognized at the Regional Dance America - MidStates Festival held in Indianapolis. 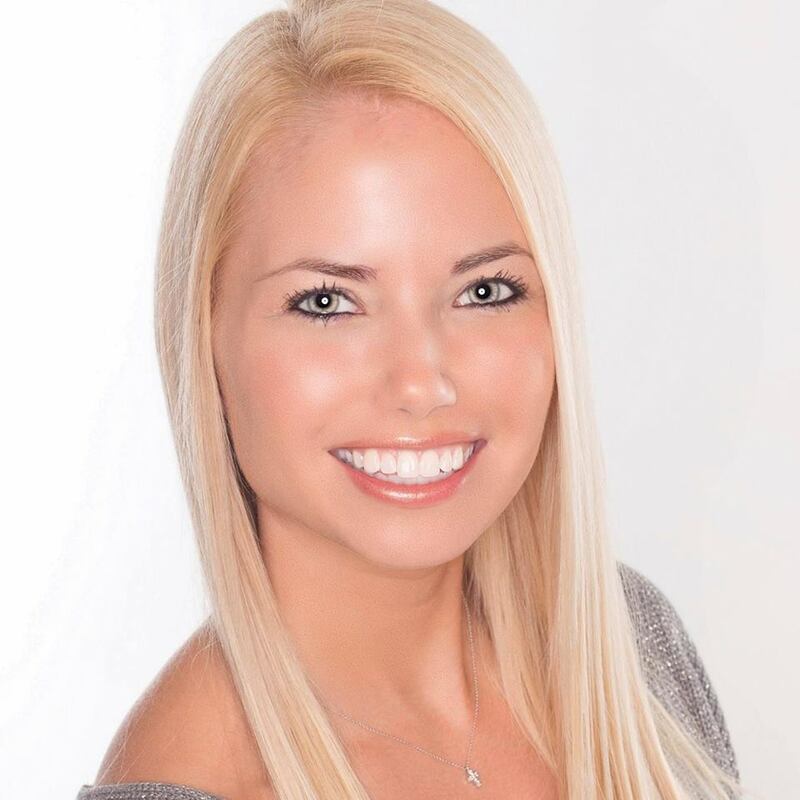 Ashley has taught at many local studios, including Indiana University’s Pre-College Dance Program, and was an assistant teacher for the freshman dance major’s modern class at IU. Ashley is currently a supervising teacher for Butler University’s Ballet Department Pedagogy Major. Ashley graduated from Indiana University with a Bachelor of Science in Kinesiology with an emphasis in Dance Performance. Ashley is an ABT® Certified Teacher, who has successfully completed the ABT® Teacher Training Intensive in Pre-Primary through Level 5 of the ABT® National Training Curriculum. Ashley was also recently certified in all three levels of Progressing Ballet Technique. Megan Thornton began her ballet training in her hometown of Orlando, FL at the age of three. While studying at the Orlando Ballet School with Peter Stark and Dierdre Miles Burger, Ms. Thornton had numerous opportunities to work with the professional company under Fernando Bujones, Bruce Marks and Robert Hill. Additionally, Ms. Thornton has attended several summer programs across the United States, including Pacific Northwest Ballet and Ballet West on full merit scholarships. In 2012 Ms. Thornton competed as a semi-finalist in the Youth American Grand Prix in Tampa, FL, where she was awarded a position with Ballet West as a trainee, and was invited to perform in the Youth American Grand Prix Gala. She moved to Salt Lake City, UT, to accept her full scholarship with Ballet West’s trainee division. Under the careful tutelage of Jeffery Rogers and Jan Fugit, later moved on to Ballet West’s Second Company. Megan has performed a diverse repertoire of principle roles in companies and as a guest artist around the country including, Odette in Swan Lake, The Sugar Plum Fairy in the Nutcracker, and the Queen in Ballet West’s premier of The Little Mermaid. Ms.Thorton has been a ballet teacher and competitive coach at several academies around the U.S. including cities such as, Salt Lake City, UT, Helena, MT, Lake Tahoe, CA and Orlando FL. Megan is an ABT® Certified Teacher, who has successfully completed the ABT® Teacher Training Intensive in Pre-Primary through Level 3 of the ABT® National Training Curriculum.